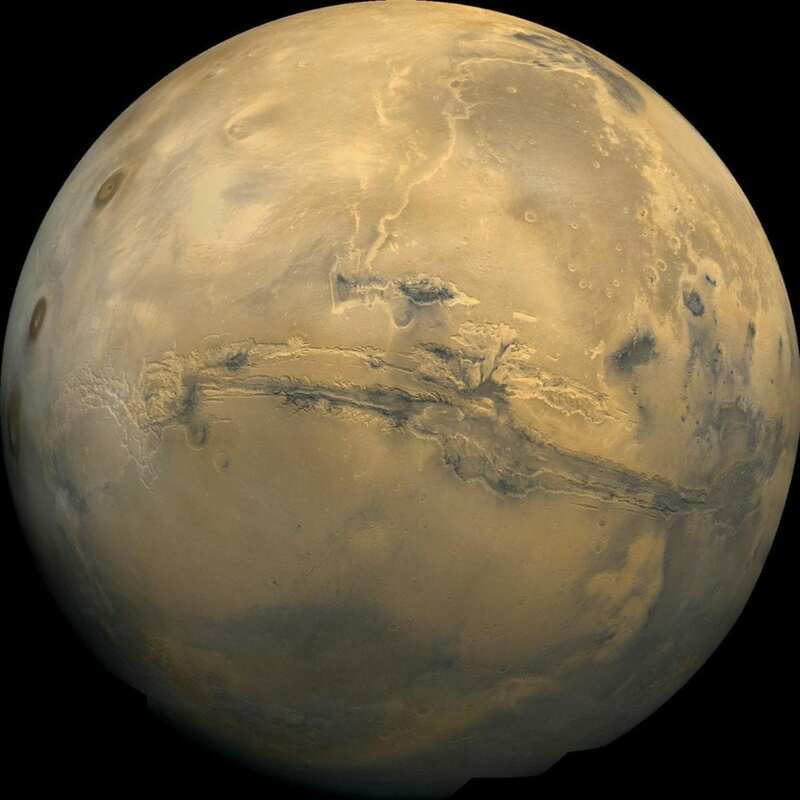 Washington, DC–Mars' organic carbon may have originated from a series of electrochemical reactions between briny liquids and volcanic minerals, according to new analyses of three Martian meteorites from a team led by Carnegie's Andrew Steele published in Science Advances. The group's analysis of a trio of Martian meteorites that fell to Earth–Tissint, Nakhla, and NWA 1950–showed that they contain an inventory of organic carbon that is remarkably consistent with the organic carbon compounds detected by the Mars Science Laboratory's rover missions. In 2012, Steele led a team that determined the organic carbon found in 10 Martian meteorites did indeed come from the Red Planet and was not due to contamination from Earth, but also that the organic carbon did not have a biological origin. This new work takes his research to the next step–trying to understand how Mars' organic carbon was synthesized, if not by biology. "Revealing the processes by which organic carbon compounds form on Mars has been a matter of tremendous interest for understanding its potential for habitability," Steele said. He and his co-authors took a deep dive into the minerology of these three Martian meteorites. Using advanced microscopy and spectroscopy, they were able to determine that the meteorites' organic compounds were likely created by electrochemical corrosion of minerals in Martian rocks by a surrounding salty liquid brine. "The discovery that natural systems can essentially form a small corrosion-powered battery that drives electrochemical reactions between minerals and surrounding liquid has major implications for the astrobiology field," Steele explained. A similar process could occur anywhere that igneous rocks are surrounded by brines, including the subsurface oceans of Jupiter's moon Europa, Saturn's moon Enceladus, and even some environments here on Earth, particularly early in this planets' history. The team included Carnegie's Pamela Conrad and Jianhua Wang; Liane Benning, Richard Wirth, and Anja Schreiber of the German Research Centre for Geosciences; Sandra Siljeström of the RISE Research Institutes of Sweden; Marc Fries and Francis McCubbin of the NASA Johnson Space Center; Karyn Rogers of Rensselaer Polytechnic Institute; Jen Eigenbrode of NASA's Goddard Space Flight Center; A. Needham of USRA-Science and Technology Institute; David Kilcoyne of Lawrence Berkeley National Laboratory; and Juan Diego Rodriguez Blanco of University of Leeds. The researchers were supported by NASA, the Swedish National Space Board, the Swedish Research Council, the Helmholtz Recruiting Initiative, and the Department of Energy's Office of Basic Energy Sciences.